Does your balance bike need to have a footrest? 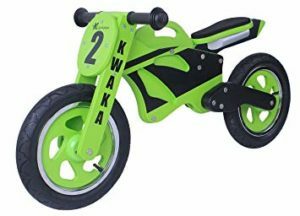 You will probably find that most balance bikes out there these days don’t have a footrest, and it is not really an essential feature to consider when you are looking for the best balance bike. 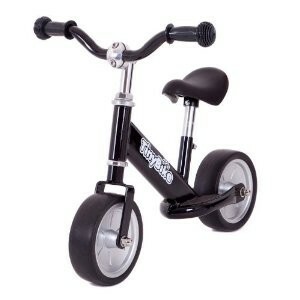 However, footrests on balance bikes can be useful, especially if the rider is coasting along or going down a long hill. 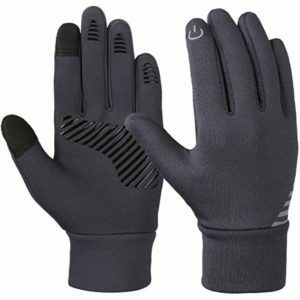 It gives them somewhere to tuck their feet out of the way and stops them getting tangled up in the rest of the bike! If your child is using the footrest for a reasonable period of time, then they must be well on their well to learning to balance! 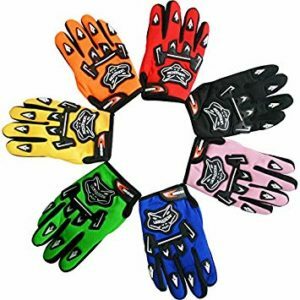 One important factor to consider about balance bike footrests is that they are positioned correctly on the bike. If the footrest is poorly designed, it can get in the way and cause the child to hit the back of their leg on it, causing more harm than good. 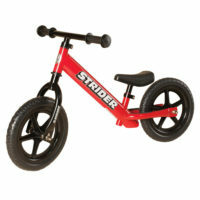 Some Strider bikes (pictured) feature a footrest, which is towards the back wheel of the bike. This is a great design as it doesn’t get in the way when the rider is walking or running with their bike to push it along. Other bikes feature a low platform, and you will find this on models such as the Puky LRM Learner Bike and the Bike Star Classic. The low platform or footboard often comes combined with a step through frame – so this feature makes the bikes easy to mount and the footboard gives the rider somewhere to rest their feet as they scoot along. These bikes are particularly good options for younger riders and we have recommended them in our feature on best balance bikes for 2 year olds. 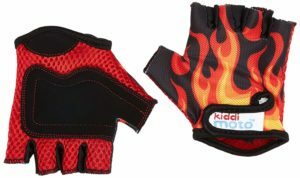 Going back to footrests, although they can be useful we think there are more important things to consider when you are choosing the best balance bike for you. The make, model, type of tyres, frame composition (wooden, steel or aluminium), saddle height and many other factors are probably all much more important! The Tiny Bike Balance Bike is currently unavailable but please see our reviews and guides for other suitable bikes. The Tiny Bike Balance Bike is a great little balance bike that looks great and has a robust build. 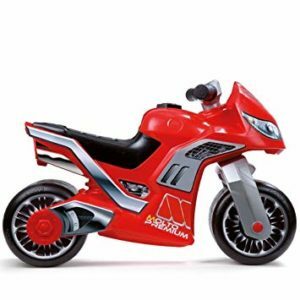 The bike is aimed at children aged 2-4 years, but it lives up to its name as one of the smaller bikes in the market so would make an ideal present for a child’s 2nd birthday. It would also be suitable or some children aged under 2 if they are big for their age and you are keen for them to get on their bike. It makes a great starter bike to help children steer and balance before they graduate to a ‘proper’ pedal bike. It weighs in at a lightweight 3.2kg. 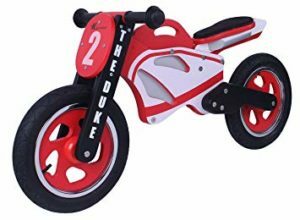 Easy to assemble straight out of the box, the Tiny Bike Balance Bike is sturdy and stylish and features a steel frame that is available in a range of colours, including pink, purple, red and white. Other features include a footrest that is ideal for children as they glide along, an adjustable seat and safety handlebars. Check out our guide to balance bike saddle heights for advice on how to choose a bike that is the correct size for your child. The tyres are solid, which means there is no risk of punctures but the ride may not be as comfortable a bike with air tyres. 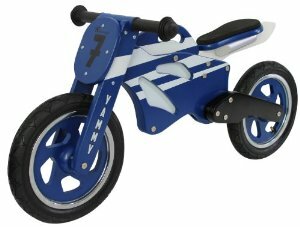 The Tiny Bike Balance Bike is available for around £49.95, which makes it fantastic value for money and competes directly with bikes such as Chillafish and Bike Star which are a similar price. 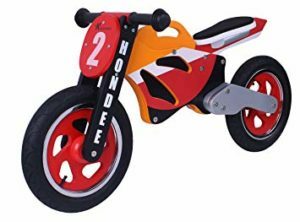 We think this is a great choice for a starter bike as it can be ridden indoors and outdoors, so if you do decide to purchase the Tiny Bike Balance Bike then your child should be off and about in no time at all.